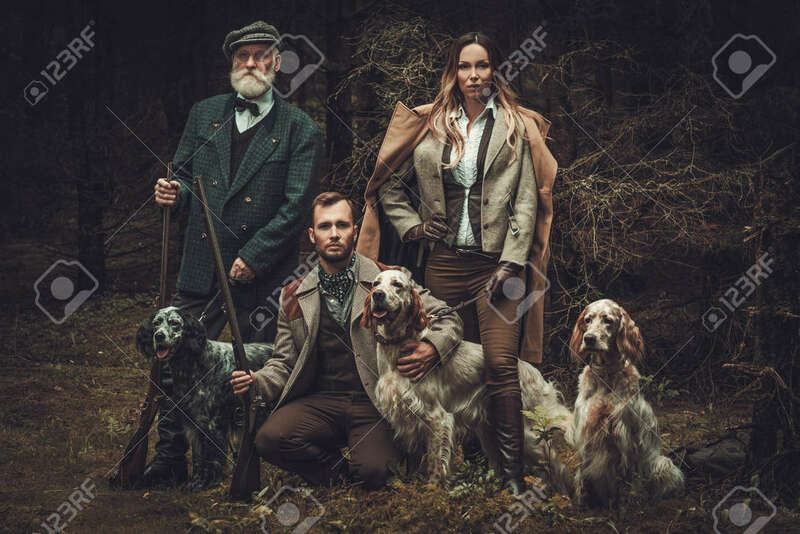 Group Of Multi-age Hunters With Dogs And Shotguns In A Traditional.. Stock Photo, Picture And Royalty Free Image. Image 61733221. Stock Photo - Group of multi-age hunters with dogs and shotguns in a traditional shooting clothing on a dark forest background. Group of multi-age hunters with dogs and shotguns in a traditional shooting clothing on a dark forest background.